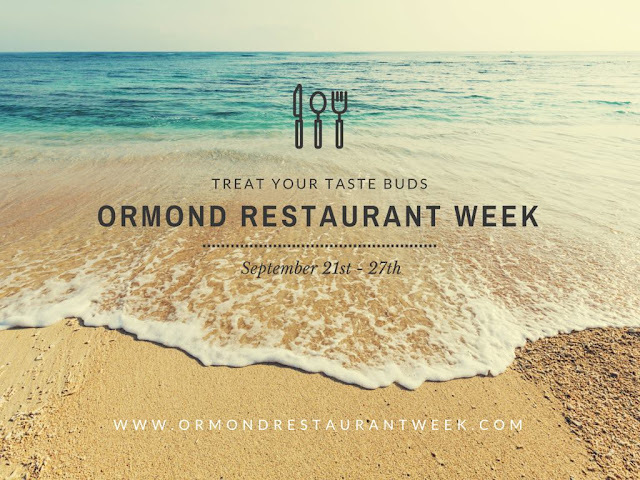 Very excited to support Ormond Restaurant Week. Great restaurants like Frappes Italian Grill, La's Bistro, Grind Gastropub, 31 Supper Club and more will be giving Ormond Beach residents (and more) the chance to have a night out without breaking the bank. Brilliant! Of course the very cool S.R. Perrott and Ormond Mainstreet are on board as sponsors. This should be a great week! The first annual Ormond Restaurant Week will be a week-long celebration of local cuisine. Participating restaurants will offer a select prix fixe menu offering a two-course lunch for $15 & a three-course dinner for $30 in addition to their regular menu. No tickets or passes are required. It’s simple, dine out at as many participating restaurants as you’d like during the week of September 21st – 27th!